Two years ago I worked with a wonderful client who was from Australia to redesign her master bathroom, kids’ bathroom and mudroom. She and her husband lived in a traditional house in a really nice suburb of Des Moines. When I met them, they had already done an amazing job updating their home. They have absolutely fabulous taste and love many of the same styles that I do. Whenever I would meet with them at their home, I would be so distracted by their beautiful area rugs. Finally, I asked her where they were from, and she let me in on the secret. Loom is located in Victoria, Australia. If you’re obsessed with international design magazines like I am, you may have spotted a Loom rug on the cover of the Jan/Feb issue of Inside Out Magazine, which is based in Australia. It was a geometric in an array of eye popping, candy colored hues. 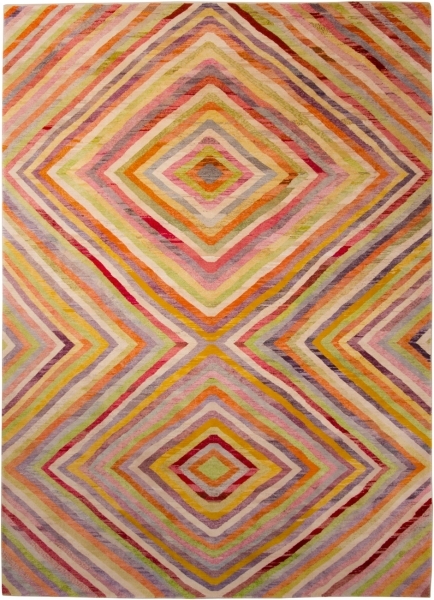 By contrast, my client’s rugs were vintage, and the colors and patterns more understated but equally intriguing. 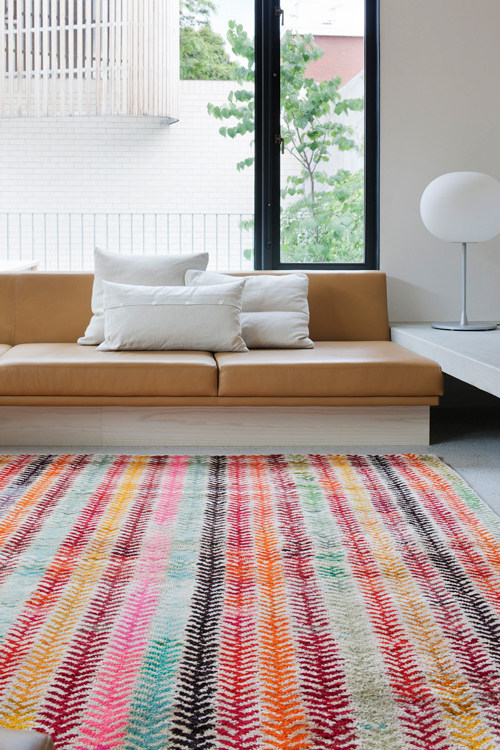 These rugs are some of my favorites from the Loom collection. I wish I could import one for our living room…I’ve never seen anything quite like them in the US. 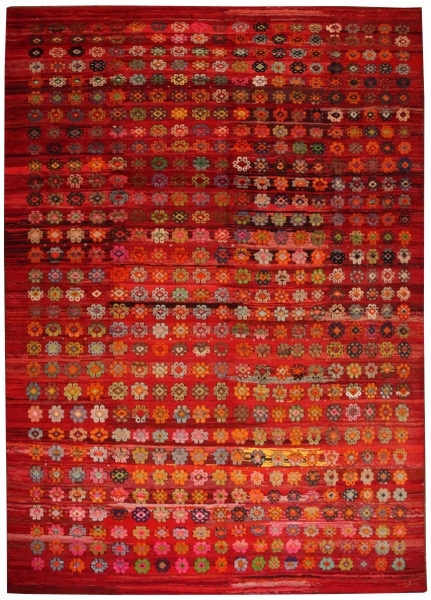 Their Old Yarn rugs are made from unraveled vintage kilims rewoven into contemporary designs. The colors are just incredible. 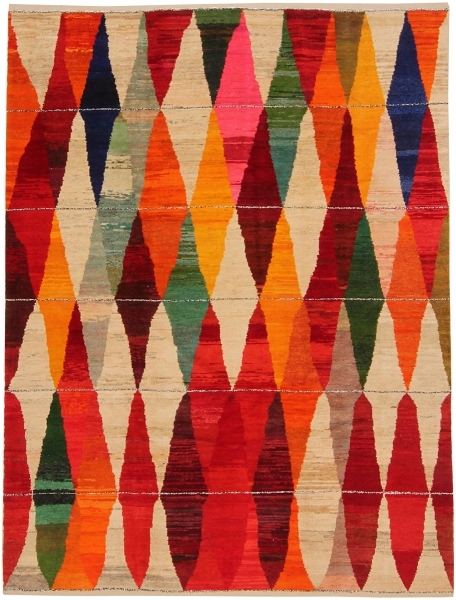 There are many more vintage and contemporary rugs on the Loom website. Prices aren’t listed, but I believe you can contact them to inquire. What do you think? Would you be daring enough to incorporate one of these bolder styles into your home? The harlequin pattern with the pop of pink and the little flowers are my top two.